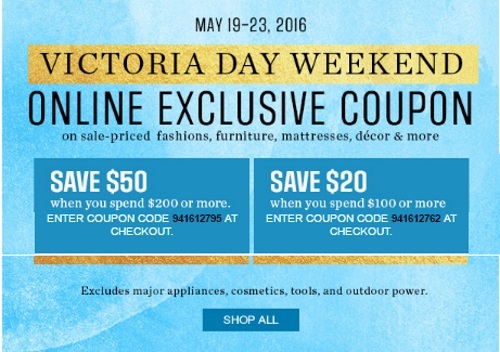 Sears has a Victoria Day Weekend exclusive online coupon available now! Save up to $50 off on sale-priced fashions, furniture, mattresses, decor and more with the promo codes below! Excludes major appliances, cosmetics, tools and outdoor power. Offer is valid until May 23, 2016.